Industrial Grade – Large Capacity – Fast Cycle Time – Designed for long life – Will handle the most demanding tasks at the speed of smaller machines – Log Catchers & Engine Guard included. 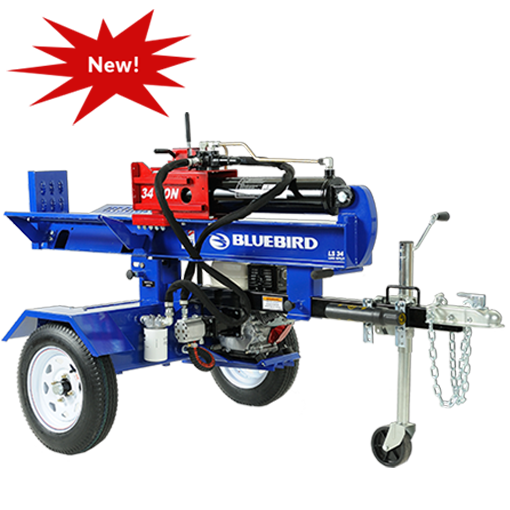 Conquer any and all log splitting tasks with the Bluebird industrial grade LS34 log splitter. Its 34 ton capacity will handle the largest logs, while its large diameter push rod and 17.5 GPM pump provide the speed of smaller capacity units. It’s the best of both worlds! 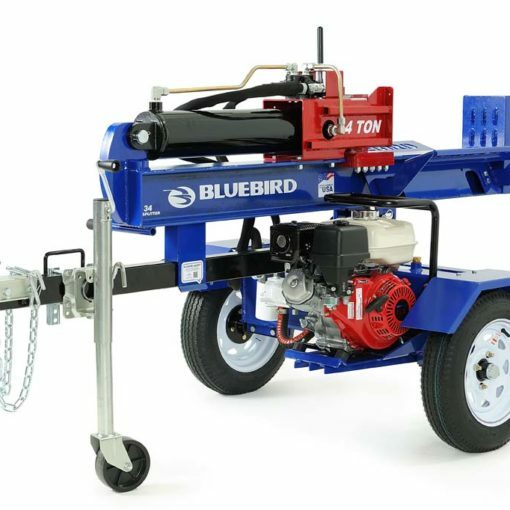 The result is productivity plus long life due to less wear and tear on key components This machine is rental grade durable and will also satisfy contractors and homeowners who are looking for a reliable and durable log splitter. Designed to future ANSI safety Standards.